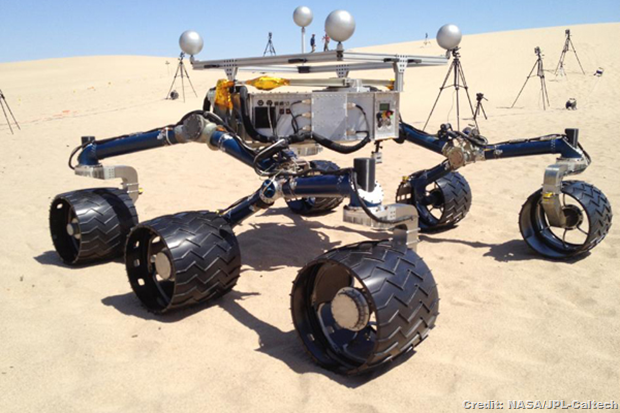 Before NASA's Curiosity rover was en route to Mars to answer questions about the planet's potential to host microbes now or in its past, the robot first had to cut its teeth in California's Death Valley. One of the hottest places on Earth is also one of scientists' favourite terrestrial stand-ins for Mars, due to its arid climate and unique geology. Death Valley is one of several places around the world that serve as Mars stunt doubles as NASA scientists test the gadgets that will probe the Red Planet. Some of these places are hot, some are cold. Some are arid, some are covered in ice. All of them are among the harshest places on Earth, which is why scientists continue to trek to these spots to test their high-tech toys before shooting them into space.